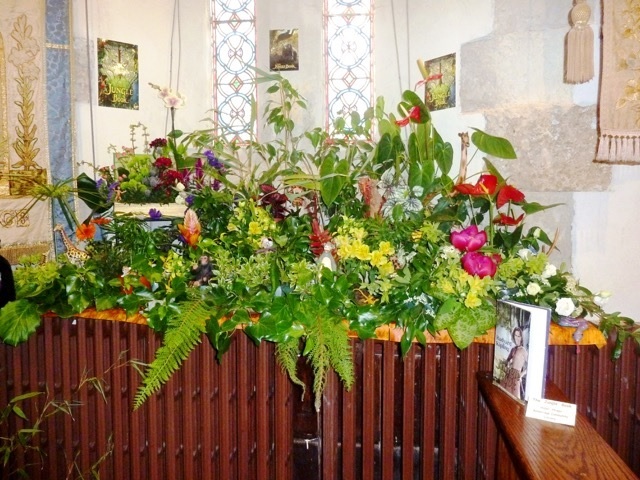 This year Children’s Books was the theme of the Flower Festival held at Holy Trinity. The Library arrangement was done by Volunteer Hazel Phipps and her chosen book was The Jungle Book. As you can see she did an amazing job of depicting a jungle and hiding lots of animals and a tiny Mowgli in the foliage.